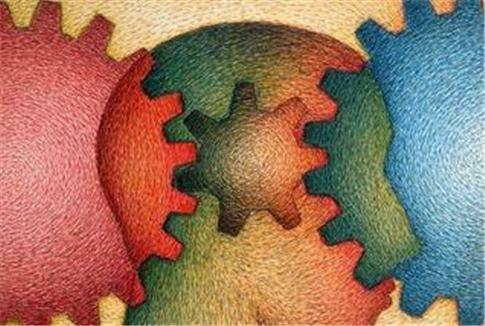 If you are interested in the subjects of psychology and biology and are looking for a unique career involving research, becoming a comparative psychologist might be a consideration for you. Comparative psychology is a branch of the broader psychology field that involves the study of behavior and cognition of animals in order to determine evolutionary relationships between species, according to the American Psychological Association. Much of the work in this field is an offshoot of such well-known theorists as Charles Darwin and Ivan Pavlov. Studying the similarities and differences between animal species helps to provide insight into human psychology. Concepts observed include heredity, adaptation, evolution and mating behaviors, among others. Let’s take a closer look at the field to see if it may be a good fit for you. A comparative psychologist studies various aspects of animal groups such as sensory, social, recognition, communication and cognition systems. These professionals may also study components found in animal behavior, like physiological, environmental and psychological makeup. In this position, you would likely conduct a great deal of research, contribute to scholarly journals and seek funding through research grants to continue your contribution to the understanding of animal functions and how they contribute to learning more about human behavior and makeup. You could also teach at the college level in the field of comparative psychology. Most comparative psychologists work either in private research labs with a team of other psychologists or on college campuses as faculty members. They may also study animals in their natural habitats or in zoos. The job settings are quite broad as long as they are able to access research materials in order to study the etymology, behavior and cognition of animal groups. Lab assistants in the field may only require a bachelor’s level degree. However, you’ll need a doctoral degree for most jobs in comparative psychology. It’s likely you’ll need to complete four years of graduate school after your four-year bachelor’s program in psychology. Coursework will most likely include topics such as research design, psychobiology, ethics, human operant behavior, teaching methods and animal cognition. This list is not extensive, as each school’s program will vary. A time-consuming and intensive doctoral dissertation project is required in a Ph.D program, and you will need to defend your research in front of a faculty panel in order to complete your graduation requirements. Upon graduation, it’s a good idea to join professional networking groups. One such well-known organization in the field is the American Psychological Association’s Division 6, which focuses on behavioral neuroscience and comparative psychology. Doing so will also help you to position yourself in the job market. This is a rather unknown field to the general public, but it provides society with a great deal of information regarding human function through the study of animal interaction, behavior and evolution. If you have an analytical mind, enjoy research and discovering new information, a career path as a comparative psychologist just may be a good fit for you.